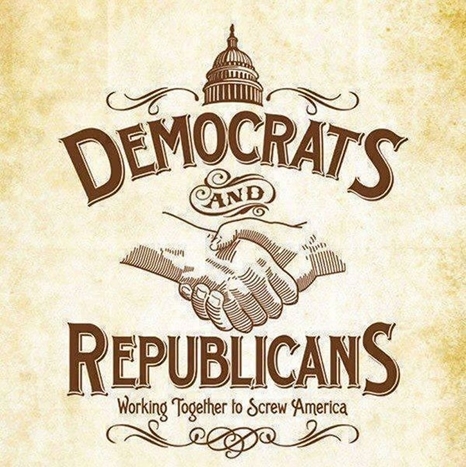 Democrats and Republicans, are they really all that different? Republicans get angry about Obamacare, but under George Bush, Republicans signed into law a four hundred billion dollar increase in subsidies to pharmaceutical companies. It was the largest expansion of Medicare since the program was created in 1965. Many of the same Fortune 500 companies donated to both Obama and Romney in the 2012 elections. What does that tell you? Today, many Americans are starting to see through the Right/Left charade and are realizing that all the Federal government really wants is more of our money. 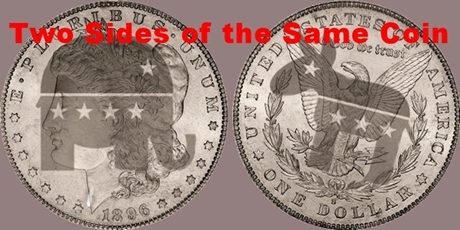 Here are some great “shatter the false left/right paradigm” memes that are out there on the interwebs. Enjoy, and if you agree with any of them, share them! Maybe they’ll help someone you know see the light. Why, in an age where our liberties are eroding away faster than ever before, doesn’t the issue of the loss of our liberties receive more attention than the latest celebrity gossip? How could the “4th branch of government” (the media) be doing such a poor job of informing the public on such a vital issue? When corrupt politicians fight, you can be sure it’s only for show. Corrupt politicians are already on the same side, and that’s the side that makes the most money. In a pure democracy 51% of the people can control the other 49% on any given issue. Increase the number of issues people are divided over and before long everyone is under someones control. No matter who gets elected into office the state always grows in size and in power. Eventually, if the growth is left unchecked, the state will grow and grow until it consumes all of the life and energy out of its host, the host, of course, being US. It gets a little difficult to imagine that you can fix the system with voting when the system is presented in this way. Perhaps the best thing to do is to never enter the building in the first place? …and by bird, he means fire breathing dragon! Divide and conquer. Everyone has heard the adage, but no one thinks their politicians are doing it to them. Well, some of us have an idea. More and more of us every day, in fact. And remember, sharing these memes helps speed the process along! SURPRISE! But wait, who is wearing the George Bush mask? Hint, the culprits are in the stars. And so has the rest of America! Congress has had an approval rating lower than twenty percent for the better part of the past five years. …and everything to do with corporations. It’s the multi-headed hydra of politics, and it’s coming to get you!! AUGHGHGHGHGHGHGHGH!!!! Pffft! Yeah right! As if WE could be fooled. ‘Murica! True, and besides, the other boot will be sure to step on you momentarily anyway. As more and more members of society realize the two party system is a lie perpetuating a corrupt system that ultimately wants to own and control us, perhaps the change Obama promised us would come will finally arrive from another source, US. 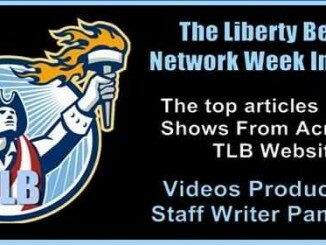 TLB recommends you visit Liberty Upward for more great/pertinent articles. Yeah, Democrats were pro-homo and Republicans were pro-DOMA but now both are pro-homo, illegals, welfare, warfare…Give me the Tea Party or give me death.